Tony Abbott’s treatment of science has sparked another controversy over his ministry, with a backbencher slamming the absence of a dedicated minister for the area, and the Chief Scientist calling for a “coherent strategic approach” towards its development. Chief Scientist Ian Chubb said today he did not object to the spread between portfolios – pointing out that science was already across 14 portfolios – provided there was a “whole-of-government” attitude. Chubb said Australia was falling behind in science at the school level, and also performing poorly in commercialising research. Australia needed a comprehensive approach similar to that of the United States, to ensure “things are funded appropriately and we’re not missing things”. Australia already had the Prime Minister’s Science, Engineering and Innovation Council. But its brief “should be expanded” to take a whole-of-government perspective. The next meeting with the Prime Minister’s council is later in the year: Chubb expects to have a discussion with the new PM before it. He met with former prime minister Julia Gillard six to eight times a year. With attacks still coming about the ministry’s gender imbalance, a sign of internal dissent came from backbencher Dennis Jensen, a former research scientist, who said science, which is divided between the industry and education portfolios, would become “a somewhat schizophrenic policy area”. “This is something that to me is strange. We have a minister for sport, for god’s sake but we don’t have a minister for science,” he told the ABC. Numerous issues relating to science needed a clear focus and “splitting the area into two portfolios is not going to provide that clear focus,” he said. Most recently in the Labor government Kim Carr was minister for “innovation, industry, science and research”. 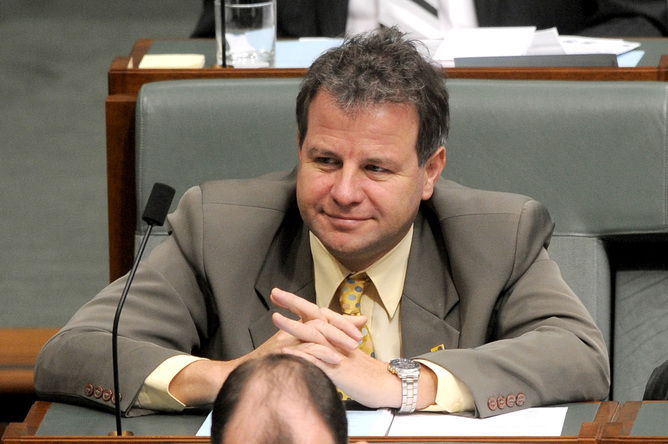 Interim Labor leader Chris Bowen said Australia had had a minister for science since the 1930s. Abbott said he was reducing the number of specific titles in the ministry because there had been “title inflation”. Jensen said what was needed was an utterly coherent response to the process of science, which was “in crisis”. The quality of students going into universities was reducing, he said. “We are not an innovative society in the way that we should be.” Industry did not interact with the research community in the way that it should. The Australian Research Council was “problematic” in the way it went about awarding research grants, Jensen said. Jensen also criticised Abbott’s expensive paid parental scheme and said it should be sent to the Productivity Commission for a cost benefit analysis. Asked whether he could see himself voting for it he said he would have to wait and see but “right at the moment it’s fair to say that I have problems with it”. He raised an issue Labor focused on in the campaign – that retirees would be hit because the business levy that would part finance the scheme would not attract franking credits. He said this was “whacking” the seniors who had invested for their own retirement. During the campaign he had got about 50 to 60 communications from constituents on the PPL issue and not one supported the scheme. Jensen’s criticism is the second backbench breakout in the wake of Abbott’s new frontbench. Liberal senator Sue Boyce has described the low representation of women in the ministry as shocking and internationally embarrassing although blaming the lack of enough Coalition women in the parliament rather than Abbott specifically. Former Howard government minister Amanda Vanstone defended the gender imbalance in the Abbott cabinet: “I’d rather have good government, than have more women in the cabinet for the sake of it.” Bronwyn Bishop – set to be the next Speaker of the House – said that women will eventually be promoted, but “It’s got to be a meritocracy”.